Organic FRESH eggs: If you have never eaten an organic FRESH farm egg, you have been missing out in life. They taste so much better than the store bought eggs! The reason why is an easy answer. They contain WAY more nutrition. Here is a great article delving deeper into the subject of the nutrition of an organic egg. If you buy organic free range eggs, you will know that they are a lot more expensive than just the regular store bought egg. So it could be a great way to save money on buying those more expensive eggs. So taste and health benefits of the EGGS is a great #1 reason. Organic FREE pest control: Chickens love to go around and eat slugs and snails and other bugs around the yard and garden. They will even eat little seedling plants- so any weeds that pop up, they will most likely gobble it up. All the while scratching up the soil (aerating) while leaving behind great fertilizer. They will eat up your veggies growing in the garden, so if they are left to there own all the time out in the garden, they may help themselves to your whole garden harvest. That is one thing you would have to be careful of. But with your monitoring, they would be a great help to take care of some of those pests in your garden. And a great clean up crew if you have fruit trees that drop some spoiled fruit to the ground- they will take care of that mess. And after the garden is all harvested, letting them loose to clean up all the dropped and spoiled fruit and veggies from the garden would be a great help for the garden. Amazing Organic Fertilizer: Have you tried and failed at making a great fertilizer/ mulch for your garden from kitchen scraps? Well, chickens have a fool proof plan to making amazing organic fertilizer for your garden. Simply feed your kitchen scraps to the chickens. They are omnivores and thus you can give them just about all your kitchen waste and they will provide you with a great addition to your soil in your garden. Done. Save $ on Garbage bill: this goes along with the making your own garden fertilizer. By feeding your chickens the kitchen scraps, this means you will no longer need to throw them away in your garbage- thus giving you less trash. This may mean less garbage cans, or it may not, but you can take pride in knowing you are contributing less waste to the land fill and thus is a greener option. Another small way you can make less of an impact on our environment. Great pets: Having a pet has proven that they help lower your stress levels, and help you be happier. But dose your pet- dog, cat, turtle, etc. give anything back to you? Can you get great tasting eggs, or great fertilizer for your garden from them? Chickens can provide the same effect of happiness as the other pets you may have, but give oh so much more. They require less work than your typical pet too. Many times you do not have to feed them daily, but filling up the feed every few days or so depending on how much feed they go through. And if you are letting them free range, this could mean they go through far less food. Can you let your dog free range to fend for himself?? These are just some of the benefits I have thought of. I am sure there are many more. Please comment and share any that you have experienced yourself! 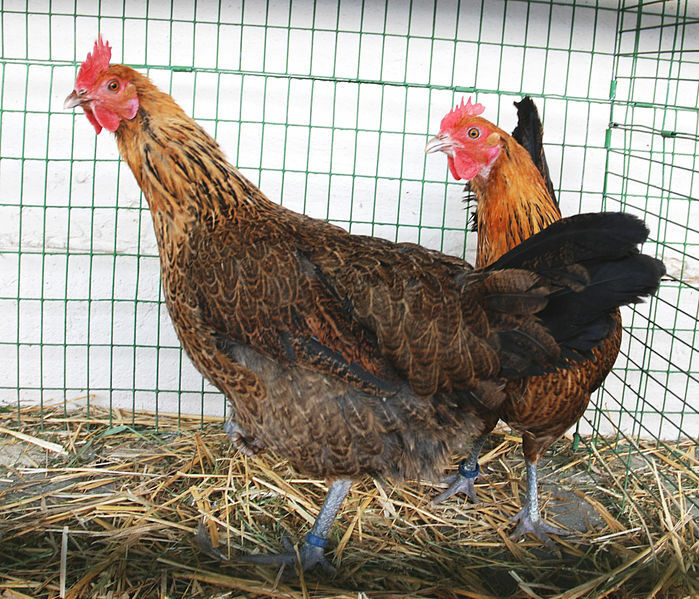 Watch for more articles on the cost of raising chickens, how to get started, and more! In the mean time, Happy Gardening! Cleaning up the beds in the fall is an essential gardening task. By the time fall comes around, after all the harvesting and work of preserving the harvest from the garden, I am ready for a break. Take the time to properly clean up your beds because doing it now will save you time and work later. Here are some tips for the clean up to help you not spread disease and pests from year to year in your garden beds. It is a great idea to grind up greens and put them in your compost heap along with some ground up leaves. I would caution you however to NOT use plants with diseases in your compost heap. you do not want to spread those diseases in your garden next year. Take those sickly plants and put them straight in the trash. Do not leave anything laying around the yard like pieces of wood and the like. If you do it provides a perfect over wintering spot for bugs like snails and squash bugs. If your tomato plants had any disease problems it is best to get them cleaned off very well with soapy water so as to not reintroduce the disease again the next year. Make sure you take care off all the weeds or at least take off the seed pods so that they do not spread the seeds all throughout the garden next year. Add a nice layer of compost or mulch to the garden beds. This will help add food for those worms to work on through the winter, keep the weed seeds from taking root as easily and make your beds nice and ready for plants in the spring. Nothing can be more frustrating than disease killing those plants in your garden before you have gotten a good harvest. It is one of those things that gardener’s dread. How can you prevent the disease from happening? Or can you? There are several different kinds of diseases or fungus’ that can kill your garden plants. One of them is powdery mildew. This one is particularly frustrating because it is spread by the air and can be spread through water. This is what can kill off the squash plants half way through the season. It is not entirely possible to totally prevent it however there are measures you can take to keep it from happening early in the season and maybe even stop it from happening all together. Just like a home needs to be built on a solid foundation, the plant needs great soil to withstand all that comes it’s way. Adding plenty of organic matter every year, and mulching around the plants to keep their roots moist and from drying out too much in between watering. This will help your plant be healthy. A healthy plant will be able to resist disease better than a stressed plant will. Your plant is only as healthy as the soil it grows in. Be sure to water it enough- according to its needs. This too is to keep it healthy. 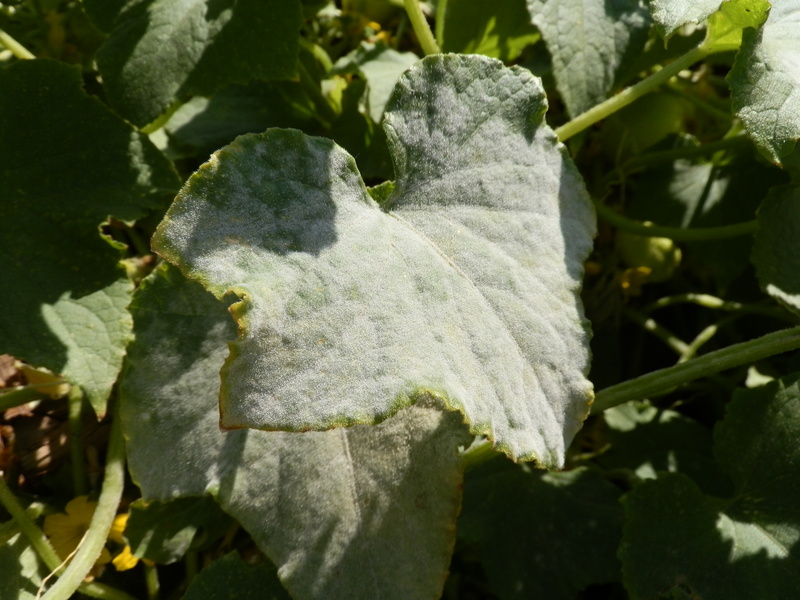 Powdery Mildew can be spread by water droplets, so watering your plant at the soil level will help the disease to not reach the leaves as easily. Put away the sprinkler and get out the drip hose or better yet get your garden plumed for drip irrigation. There are some varieties that are resistant to Powdery Mildew. By choosing those varieties dose not mean they will not get the disease, but they will resist it longer and you can usually get a good harvest from them before it succumbs to the disease. Plant in an area that gets good air flow so the the disease is not sitting there circling around the plants and spreading quickly to your whole harvest. Remember- a healthy plant will produce more and resist disease so do every thing you can to keep them healthy and growing and you will be rewarded with a great harvest. Mix and put several tablespoons in an old container like an old tuna can and set it outside where the problem is. Store any extra in the fridge. 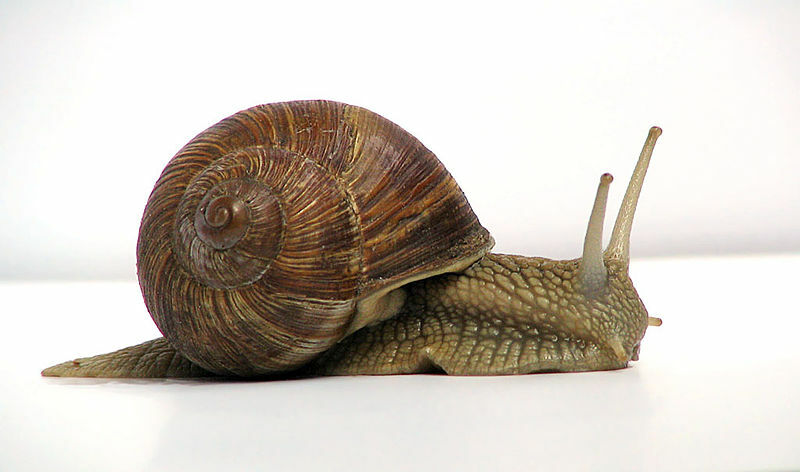 Check each day and clear out the old snails and add bait when needed. There is nothing dangerous about this to pets or kids- which is a must around my garden. Here are 5 small tips that anyone just starting to get into gardening should know, for some of us it is a good reminder. Know your zone and average last frost date. Planting varieties and plants for your zone will ensure a better harvest. But it also helps you to know when you can plant all the different plants in your garden. Plant veggies in a location that gets 8 hours of sunlight. Some can tolerate some shade, but for most of them to have enough energy to produce the fruit or veggie, at least 8 hours of sunlight is essential (more is good). There are many flowers and herbs that are beneficial to plant next to plants in your garden such as: marigolds and tomatoes, chives and carrots, mint and cabbage family plants. This is called companion planting. They not only keep some of the bad bugs away when planted together, but some help to make the veggies taste even better. Do not add manure that hasn’t aged properly! It contains too much nitrogen at that point and will burn your plants. Adding nice compost and manure to your garden every year will greatly improve the soil in your garden. Your plants will thank you. 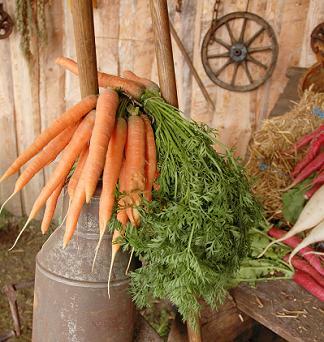 It’s that time of year… Happy Gardening! 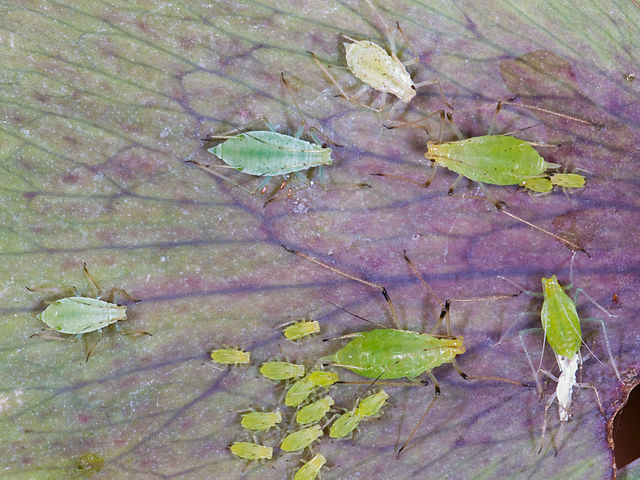 Aphids can be a very big problem for a garden. Luckily they can also be easy to get rid of. Here are 3 things that will help you prevent them from being a big problem in your garden.